Early bird bookings are no longer available through this website. All purchases for the Firkin Crane events must be purchased directly from the Firkin Crane through their website or by phone at 021 450 7487. Tickets for the Nano Nagle Place events will be available at the door on the night. Armel Dagorn is now back in his native France after living in Ireland for seven years. His writing has appeared in magazines such as Apex Magazine, Lamplight and Holdfast, and the anthology Haunted Futures (Ghostwoods Books). The chapbook of his story “Out-of-town Harry” is out now from In Short Publishing and his short story collection The Proverb Zoo was published by The Penny Dreadful Press in May 2018. 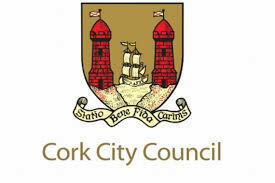 Every year Cork County Library and Arts Service runs a short story competition called From the Well. The resulting annual anthology takes its title from the winning story. 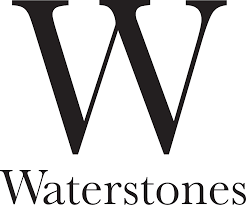 Many of the writers who have featured in previous From the Well anthologies have gone on to win or be shortlisted in major competitions such as the Hennessy Literary Awards, the Francis MacManus Short Story Competition and the William Trevor Short Story Competition. Here we have three of this year’s contributors introduced by judge Billy O’Callaghan. Patrick Doyle was raised on a farm in North Kilkenny. His work has appeared in Revival, Skylight 47 and Kilkenny Poetry Broadsheet. He lives in Kinsale and is working towards a first collection. This year’s anthology takes its title from his winning story. Elizabeth Desmond is from Cork and works as a librarian. She has previously been shortlisted for Cork County Library’s Bealtaine short story competition as well as several times for their From the Well competition. She also featured in the anthologies of short stories, Mitchelstown Miscellany and Another Mitchelstown Miscellany. Alan Egan is a native of Cork city. He is fascinated by Cork’s diverse history, and with the array of characters who daily walk its streets. In 2003, after a long career in financial services, Alan took himself off to UCC. In 2015 Alan joined a writers group and began to write fiction and short stories in addition to local history and family pieces. Billy O’Callaghan was born in Cork, Ireland, in 1974, and is the author of three short story collections: In Exile (2008) and In Too Deep (2009), both published by Mercier Press, and The Things We Lose, the Things We Leave Behind (2013) published by New Island Books, which won a Bord Gais Energy Irish Book Award and which is published in a Chinese translation from CITIC Press. He has also compiled a non-fiction book, entitled: Learning from the Greats: Lessons on Writing, from the Great Writers, which was published in April 2014 by Cork City Libraries as part of their Occasional Series. Alannah Hopkin has published two novels, A Joke Goes a Long Way in the Country and The Out-haul (Hamish Hamilton, London) and her non-fiction books include Eating Scenery: West Cork, the People & the Place (The Collins Press, Cork). Her stories have appeared in the London Magazine and the Cork Literary Review, among others. She has written guides to Ireland for Fodor’s, Insight and Berlitz, and also writes about her own travels abroad for magazines. She has reviewed regularly for numerous publications including the Financial Times, the London Evening Standard and the Irish Times. She is currently a regular book reviewer for the Irish Examiner. Her first collection of stories, The Dogs of Inishere was published in April 2017. She is currently working on a new novel set in west Cork, The Ballydevlin Hauntings. Carys Davies is the author of a novel, West, and two collections of short stories, Some New Ambush and The Redemption of Galen Pike, which won the 2015 Frank O'Connor International Short Story Award and the 2015 Jerwood Fiction Uncovered Prize. She is also the recipient of the Royal Society of Literature's V.S. Pritchett Prize, the Society of Authors' Olive Cook Short Story Award, a Northern Writers’ Award, and a Cullman Fellowship at the New York Public Library. Her short stories have been broadcast on BBC Radio 4 and widely published in magazines and anthologies, including Granta, The Dublin Review, Head Land, Love, Loss & The Lives of Women: 100 Great Short Stories, New Welsh Short Stories, Ploughshares, The Royal Society of Literature Review, and The Stinging Fly. Her non-fiction has appeared in the Daily Telegraph, Granta, The Guardian, The London Evening Standard, Marie Claire, the Sunday Telegraph and The Times. She has curated the short fiction programme at Lancaster Litfest, given talks and taught writing at universities, festivals, literary salons and libraries across the UK and in Ireland. Recent festival appearances include the Cork International Short Story Festival, the London Short Story Festival, the Ottawa International Writers Festival, the Vancouver Writers Festival, and York International Women's Festival. Danny Denton is a writer from Cork, Ireland. He has been awarded several bursaries and scholarships for his work, and has published work in various journals. The Earlie King and the Kid in Yellow is his first novel. Billed as a ‘gangster ballad love story’, it depicts an Ireland plagued by relentless rain, deadly fires, roaming gangs and warring factions. When the Kid in Yellow meets the daughter of the menacing Earlie King the stage is set for tragedy.